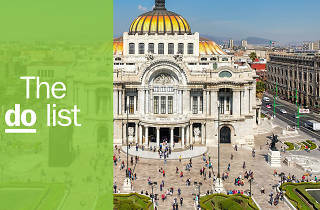 Properly planning your visit to Mexico will ensure the discovery of a country of both natural and man-made treasures. Wander from the great ruins of ancient civilizations to deserted golden beaches, snake your way through teeming cities and steaming jungles, gorge on sweat-inducing spices and dive (literally, in some cases) into epic natural wonders. 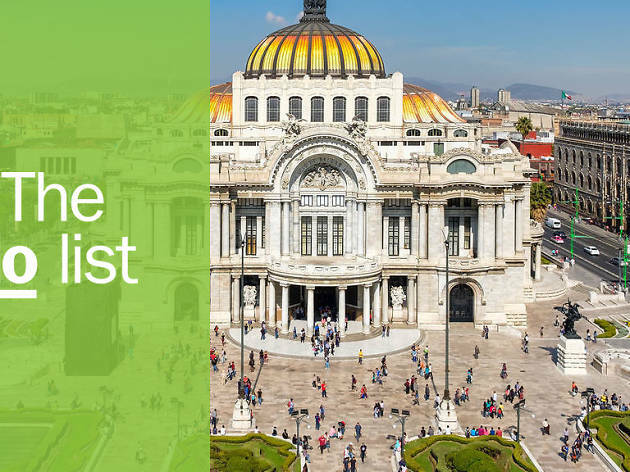 Stretched over a vast and diverse geography that's begging to be explored, the country has it all: here are the best things to do in Mexico. 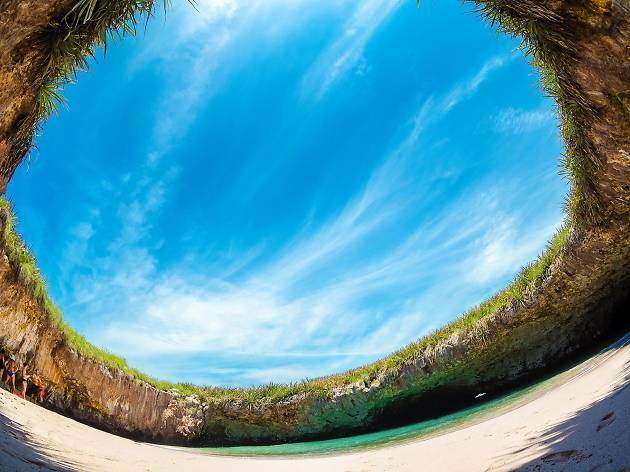 What is it: One of those Instagram staples you think you’ll never visit, the extraordinary Hidden Beach as it’s commonly known is actually an easy hour-long boat ride from Puerto Vallarta to the Islas Marietas. Why go: Swim or kayak through the water tunnel straight from the Pacific into a one-of-a-kind paradise, where golden sands and luminous waters meet under the shade of what’s rumoured to be a bomb-blast hole from Mexican military testing in the early twentieth century. What is it: This family-owned offshore pearl farm in warm Caribbean waters runs small day-long and overnight tours taking in private beaches, vibrant reefs and oyster harvesting. Weather dependent. 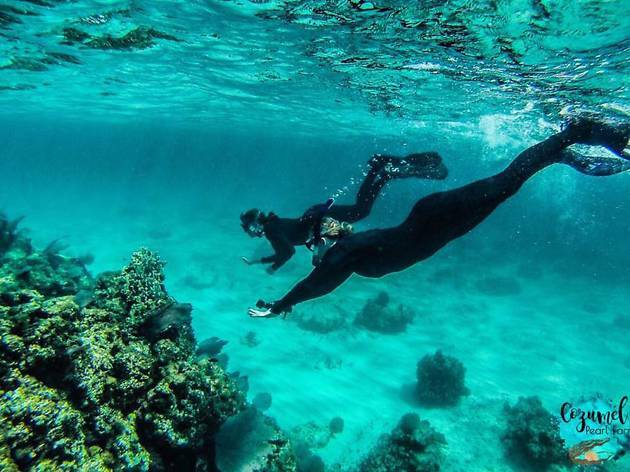 Why go: The farm’s owners will host and ferry you to this magical underwater garden, where you can snorkel among the fish and learn how pearls are grown. Laze on the private beach, gorge on pineapple burgers and cold cervezas, and swim with Gaia, the farm’s chocolate Labrador. 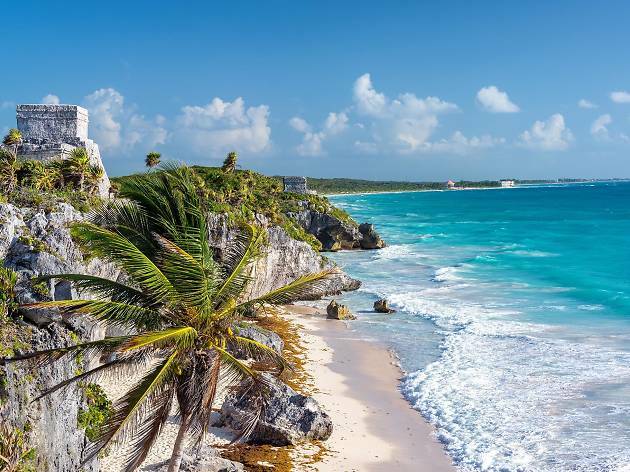 What is it: A tourist hotspot but still unmissable if you’re in the Yucatán, the ancient Mayan walled city of Tulum is a spectacular ode to Mexico’s past. Why go: It’s well preserved and there’s a gorgeous beach at the foot of the site. 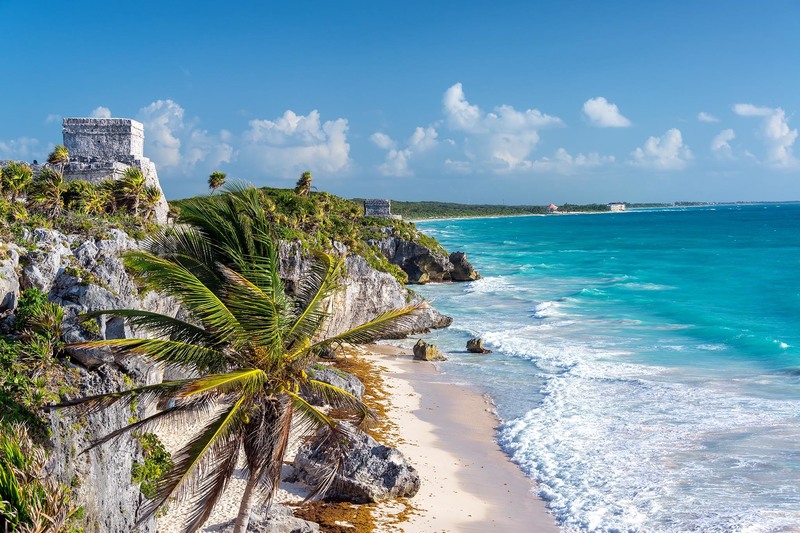 Preparation is the name of the game for a visit to the Tulum ruins. Get up at the crack of dawn and go with a reputable guide who can offer context and facts to bring the ruins to life. Then as the hordes arrive, kick back on the nearby sand secure in the knowledge you did it right. What is it: A slightly gruesome but extraordinary find in the world’s largest underwater cave system, San Actun, in the jungles near Tulum. 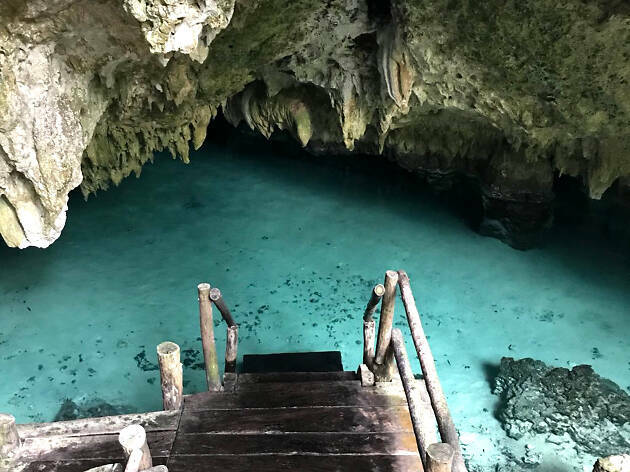 Why go: Hike through the jungle past families of spider monkeys to sinkholes, or cenotes, where you can dive or snorkel among the stalagmites and stalactites with blind cave fish. Below you on the cave floor lie the bones of ancient animals, including a now extinct prehistoric camel. 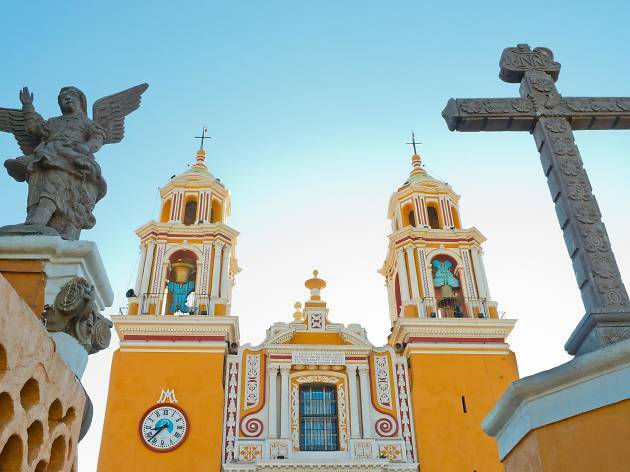 What is it: The small city of Cholula, just two hours south-east of Mexico City, is home to hundreds of beautiful churches, the world’s largest pyramid and startling views towards the snow-capped Popocatépetl volcano. Why go: The oldest city in the Americas is simply stunning. A feast of architectural delights with churches dating back to the sixteenth century. Topping them all – and that giant pyramid – is the magnificent Sanctuary of Nuestra Señora de los Remedios perfectly framed against the smoking backdrop of Popocatépetl. 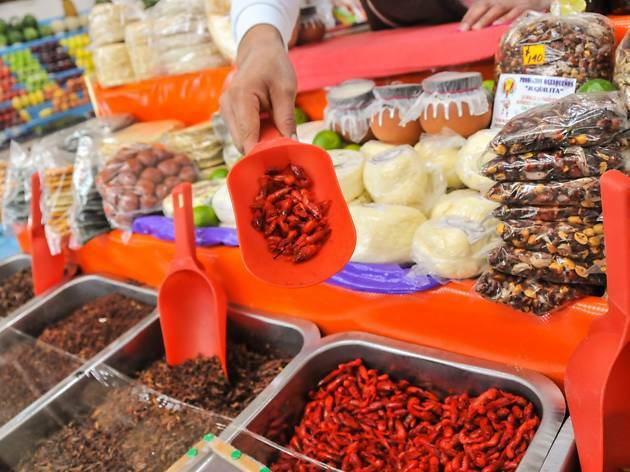 Why go: Wash down a fried scorpion with a mezcal chaser, munch on edible flowers or try ant eggs with crispy grasshoppers. There’s not much you won’t find for sale on these stalls, with vendors usually willing to let you try before you buy. Go hungry – but avoid if you’re squeamish. 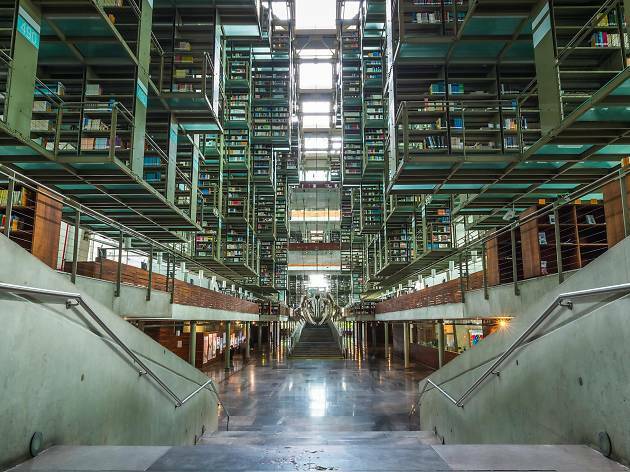 What is it: An architectural triumph of form and function working in perfect harmony, Mexico City’s mega-library conveys the power of the written word like nowhere else on earth. Why go? :You couldn’t read all the books in Biblioteca Vasconcelos in a hundred lifetimes, but you’ll arrive and leave in total awe at its scale, magnitude and design. The building’s structure is mostly made up of the bookshelves themselves, and there are five libraries dedicated to Mexico’s five greatest intellectuals, each uniquely designed to reflect their views and words. What is it: On the long road south from Tijuana to Cabo San Lucas you’ll pass hundreds of rough-and-ready roadside taco stands. Stop and eat at as many as you can. 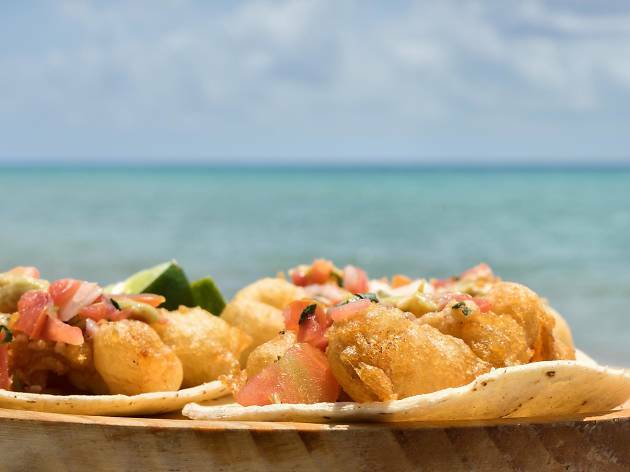 Why go: It’s some of the freshest and tastiest food you’ll have anywhere in Mexico, and few things can cure road fatigue like a couple of spicy fish tacos, ladled with hot sauce and washed down with an ice-cold Pacifico. What is it: The legendary cantina where, in 1941, bartender Don Carlos Orozco first mixed the perfect blend of equal parts tequila, Damiana liqueur and lime—then served it over ice in a salt-rimmed glass to the daughter of the German ambassador, Margarita Henkel. Or so the legend goes. 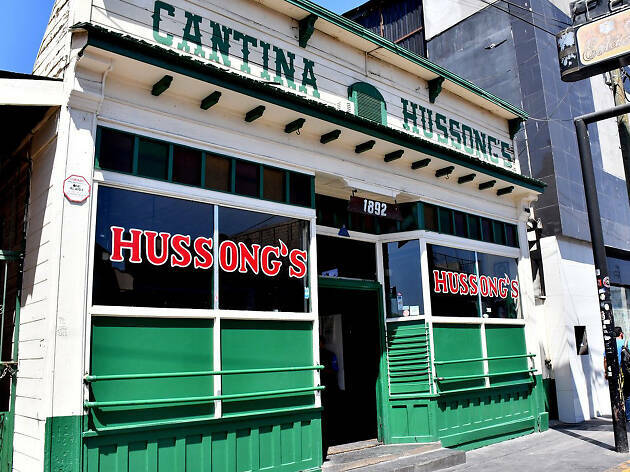 Why go: Apart from the obvious historic context, Hussong’s is just a great bar that serves amazing margaritas. Still run by a third-generation Hussong, every night is lively to the point of rowdy, with locals and Americans filling every seat in a smoky, boozy ‘cheers!’ to tequila. 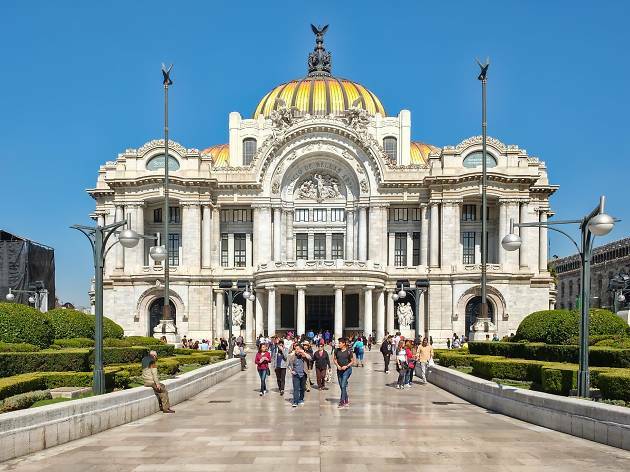 What is it: A stunning example of early twentieth-century architecture at its very best, the Palacio des Bellas Artes stands rightly proud in Mexico City’s Centro Histórico. Why go: If not to see the palace itself, then to visit its many artworks. Alongside the healthy calendar of temporary art exhibits and public events it’s a permanent home to works from many of Mexico’s finest artists, including Diego Rivera and José Clemente Orozco. Up until 1968 it was known as the Palace of Plastic Arts, as the first museum dedicated to plastic production. What is it: Not far from Zihuatanejo (remember The Shawshank Redemption? ), sleepy Nexpa is a collection of dilapidated beachfront cabanas and a surf spot with a fantastic left-hand wave far from the tourist trail. 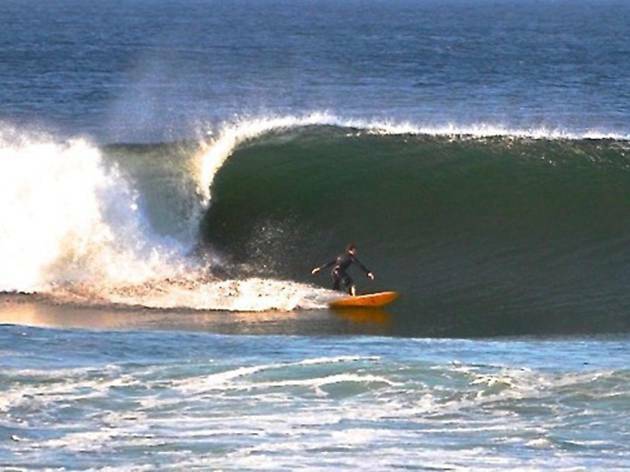 Why go: Sure there are better, more famous waves across Mexico, but heading to Nexpa is like stepping away from the world for a time. Untouched by development with only traveling surfers searching it out, there’s little to do except surf, sleep and surf once again. 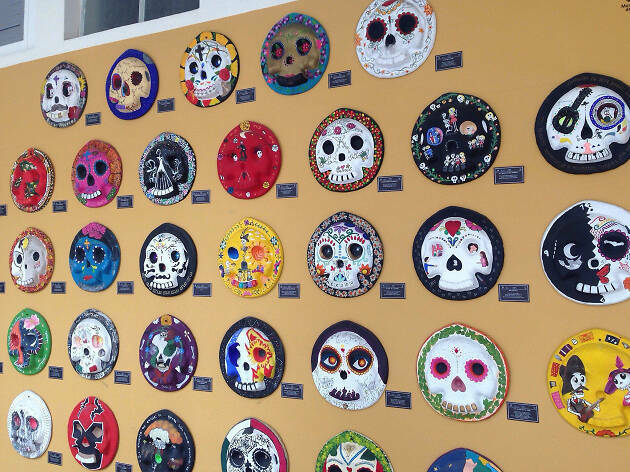 What is it: A celebration of Mexico’s ever-present obsession with Santa Muerte, the Museum of Death in Aguascalientes is a sometimes comic, sometimes graphic and always weird deep-dive into a cultural fixation. Why go: From the gruesome rituals that sent thousands to their graves in ancient times to the appropriation of the sugar skull into popular culture, you’ll leave with a knowledge of death you never knew you wanted—until you came here. 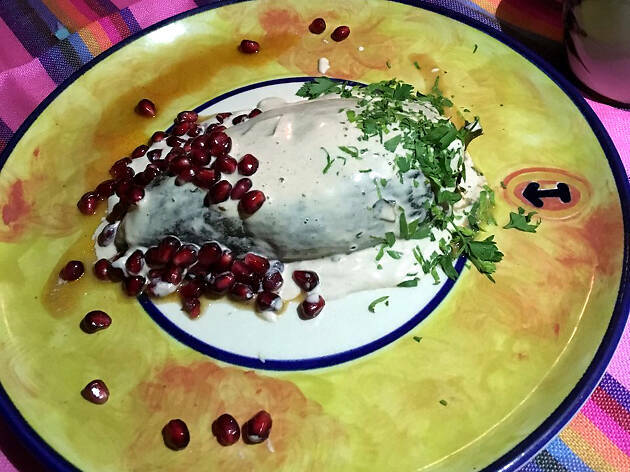 What is it: An unmarked door of a quirky art nouveau house in Guadalajara that leads to some of the best Mexican food you’ll find. Why go: This is fine-dining at its simplest and most affordable. Let owner Carlos welcome you in, tell you the menu and then serve you a feast you won’t forget. Don’t miss the empanadas and medialunas (half-moon pastries). 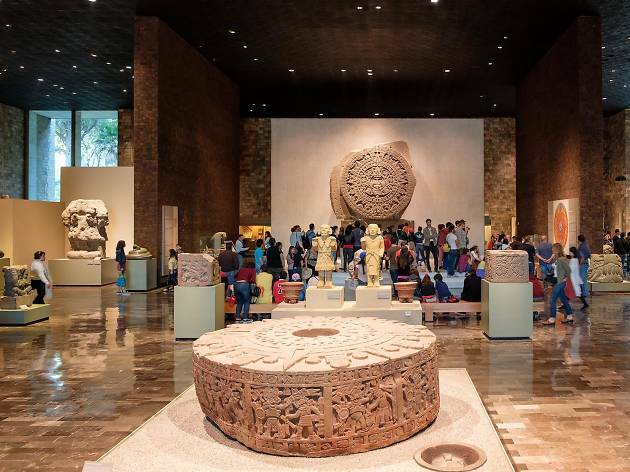 What is it: Mexico City’s spectacular natural history museum dedicates one-and-a-half square miles of exhibition space to the history of man and Mexico. Why go: Many of Mexico’s wondrous ruins and ancient sights are a little light on explanation and context. 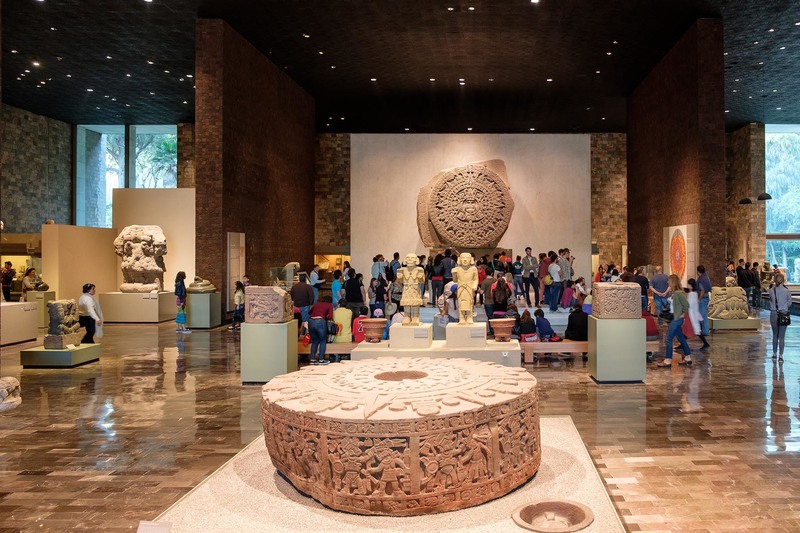 The Anthropology museum walks you through Mayan, Olmec and Aztec histories with fantastic exhibits and interactive centers in a beautifully designed building. Visit first and you’ll get more from the ruins you visit later. 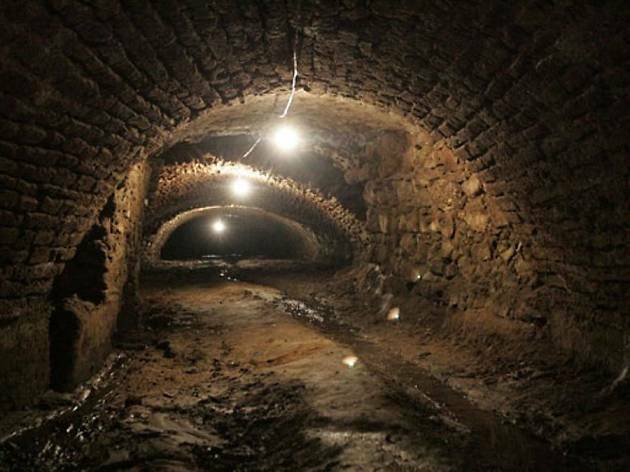 What is it: A 500-year-old, six-mile-long tunnel system under the baroque city of Puebla, long thought to be nothing more than legend until it was rediscovered and reopened in 2016. Why go: Snaking their way from the city center to the Loreto Fort, the tunnels were used by soldiers in the mid-nineteenth-century war of Mexican liberation but were carved half a millennium ago. Now a beautifully lit thoroughfare and free museum, they make for quite the commute.